Web Hosting - Go for the best! Your website and email are very important to you, so they deserve the best - Acception hosting. 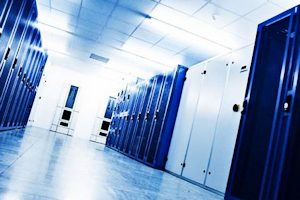 Our servers are situated in purpose-built data centres equipped with multiple redundant fast internet connections, uninterruptible power supples and backup generator systems. Your website data is held on servers with redundant disk arrays. Our sites routinely achieve 99.95% availability. Your website function is controlled through CPanel, the world's most popular webhosting control panel, which runs millions of websites worldwide. Using Cpanel you can set up email accounts and forwarding, spam filters, inspect your website statistics - and much more. Fantastico and Softaculous (demo) software management packages which allow you to install forums, bogs, content management systems, photo galleries and many more features on your site. Watch this Video Demo of installing Wordpress using CPanel and Fantastico to get an idea of what's available. And if it all still sounds rather complicated - we'll help you!